If you’re anything like me, you probably spend a lot of time trying to lengthen, plump and curl your eyelashes. It’s easy to forget that they aren’t just an accessory—they actually protect your eyes from irritants like dust, sweat, and even the sun. So while we are busy doing all we can to have fuller, sexier lashes, there are some must-know facts that will keep your lashes healthy and gorgeous. Eyelashes are made out of the same components as hair—and just as your hair gets dirty, so do your eyelashes. Protecting your eyes can be dirty work, causing a buildup of dust, sweat, and mascara. For a gentle cleanse, press a warm compress to the lids before washing lashes with baby shampoo. If you notice a change in the fullness or length of your lashes, you’re not imagining things. It’s natural for eyelashes to thin—just as the strands on your head do—as you mature. To keep them full and beautiful, add a supplement that encourages hair growth, like the B vitamin biotin, to your daily supplement routine. The common fear associated with lash curlers is that they will pull lashes out at the root. But what you really should be worrying about is breaking them in half, as this is a more common occurrence. Instead of aggressively crimping your lashes, pulse the curler with light pressure 10 seconds before applying mascara. It may seem like every girl’s dream to have long lashes, but it’s possible for your eyelashes to be too lengthy; it can become painful and inconvenient. Highly active hormones sometimes cause lashes to grow to outrageous lengths. If your lashes need a trim, you can DIY it—but I’d recommend seeing a professional makeup artist for the first time to learn the ropes. Then, invest in a pair of iris scissors to maintain yours. The same components that make waterproof mascara do its job can do a number on your lash line. While lashes are designed to dust away irritants, they aren’t sure what to do when coated in water-proofing agents like dimethicone copolyol and silicone. The rejection of those ingredients can cause an itchy, watery allergic reaction. Look for a more natural formula that is free of preservatives or fragrances to keep eyes itch-free. While celebs like Kim Kardashian have sung the praises of eyelash extensions (the more expensive, longer-lasting sister of your average false lashes), they’re not as harmless as they may seem. The ingredients in adhesives, such as formaldehyde, can irritate the lash line. And if applied incorrectly, they can take real eyelashes with them as they fall off. If you still want to try them, i highly recommend first finding a reputable and safe salon in your area with estheticians who specialize in extensions. So there you have it. 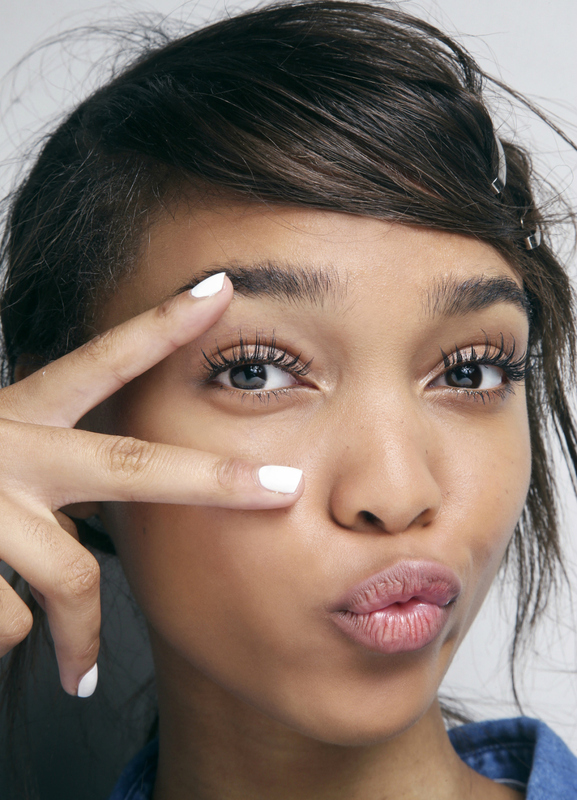 Now you know the best way to care for your lashes.